Though we find the Gospel of Matthew first in the New Testament, many scholars believe that the Gospel of Mark is older. Matthew then is often seen as an expansion of Mark, incorporating most of the content of Mark while also adding sections that contain the teachings of Jesus, such as the Sermon on the Mount, and stories about the birth and infancy of Jesus. The Gospel of Matthew presents Jesus as one who is "God with us" even until the end of time. The Gospel of Matthew, Volume 1 by Barclay, William was published by Westminster John Knox in November 2017 and is our 56254th best seller. The ISBN for The Gospel of Matthew, Volume 1 is 9780664263706. 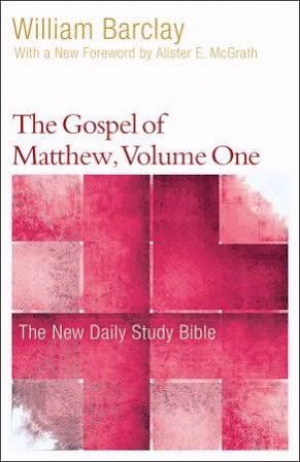 Be the first to review The Gospel of Matthew, Volume 1! Got a question? No problem! Just click here to ask us about The Gospel of Matthew, Volume 1.